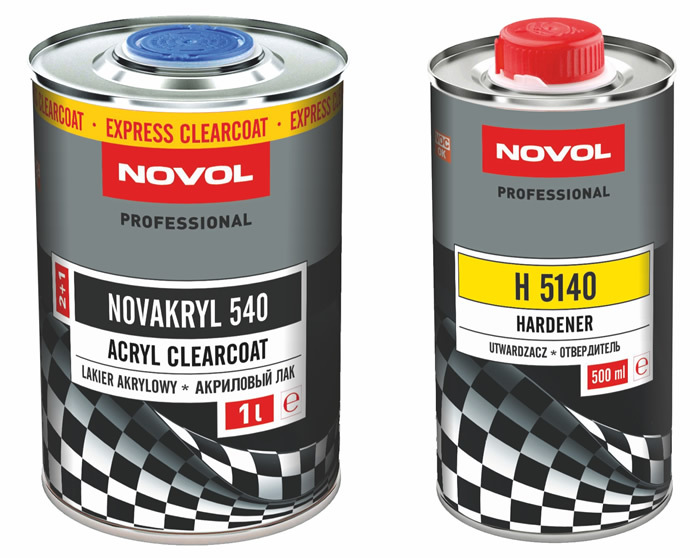 Acrylic Clearcoat NOVAKRYL 540 - acrylic clearcoat with Scratch Resistant properties. Characterized very fast drying properties. Recommended for small and fast repair. Operation is Achieved hardness after 20 min in 60 ° C. It is compatible with Majority of solvent basecoats and water basecoats available on the market. Clearcoat is UV and weather resistant.